The clients, Mr & Mrs Daniels, wanted a kitchen which would maximise as much of the small space available as possible. 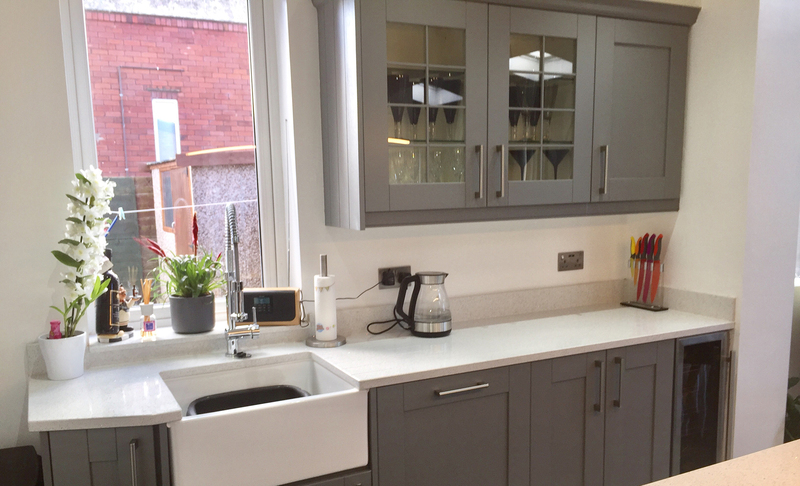 Having previously installed two kitchens in their West Yorkshire home before, KNB Creations were the chosen retailers who installed a Madison painted kitchen in dust grey. The kitchen island was an important feature given the clients love of baking. KNB Creations is a family business who prides themselves on family values and customer service. 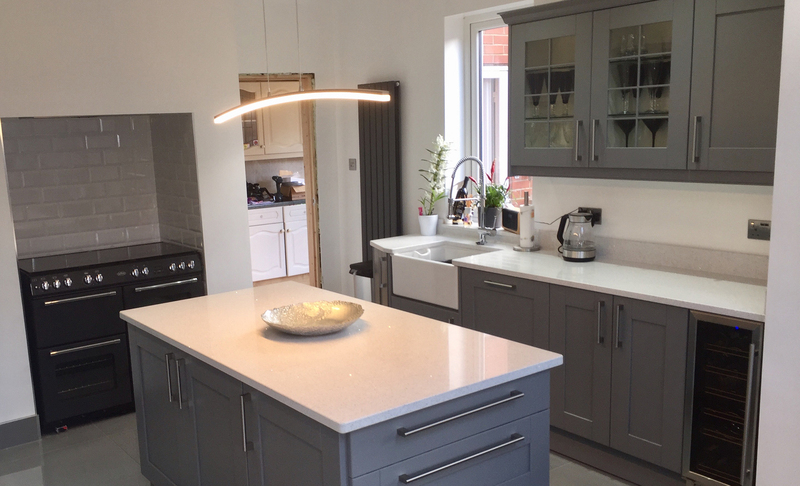 All cabinets and doors give you truly bespoke fitted kitchens and bedrooms, majoring in both high end and mid range products. The brief was to change a dated 15 year old standard kitchen / diner to something much more up to date and functional for the client. The brief from Mr & Mrs Garner was to maximise storage in a small space whilst ensuring a clean, open space, quite a tricky thing to achieve.